How Can I Convert a Picture to a Rubber Stamp? 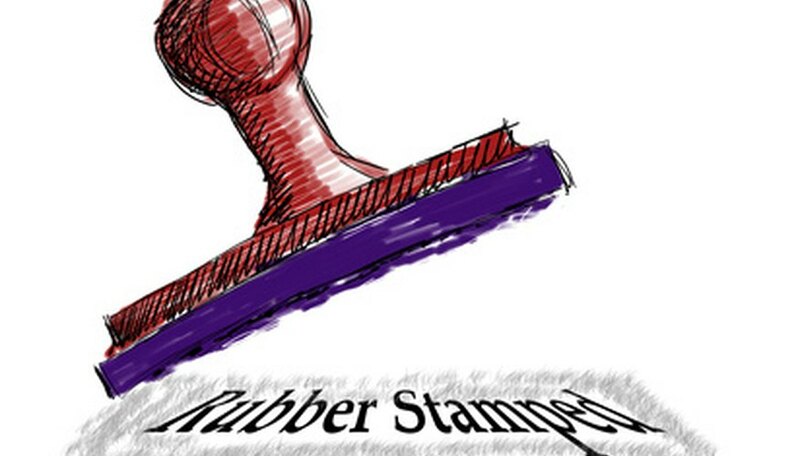 Rubber stamps are fun for creating scrapbooks, writing letters and personalizing cards. Stamps have come a long way from being just basic rubber words with a black ink pad. Stamps are available with just about every character imaginable on them, but they are also now available for personalization with pictures people take with their cameras or cell phones. If you are wanting a special picture made into a stamp, you need only look as far as your computer for a source that can do it for you. Select an online source you would like to use to make your stamp. Some good online sources are picturemystamp.com, rubberstamps.net and stampics.com. Follow the directions of the site you have chosen regarding what they require for a photo. Take a photo that you would like to use as a stamp, or choose one that you already have. The more clear the photo, the better the stamp. Keep in mind that a stamp will be considerably smaller than the image you are using. Scan the photo to your computer with whatever scanner you have for your computer or download the image from your camera to your computer. Be sure you save the file as in whatever form the site chosen to make the stamp requires. JPG format is usually an acceptable format for all of them. Follow the site's directions for submitting your order, photo and payment. Your stamp will be shipped to you usually within a few days.